air joe is proud to serve the Lockport community! We are proud to be a part of this community, serving your heating and air conditioning needs: air joe is listed in many directories under titles such as : Lockport Heating Contractors, Lockport Heating, Lockport Air Conditioning, Heating Repair, Air Conditioning Repair, Lockport Heating and Cooling Contractors, Rooftop HVAC Repair, Ductless AC Systems, Boiler Repair and Lockport Heating and Air Conditioning Contractors. We are here for you whether you need furnace or air conditioner repairs, heating and cooling estimates, equipment replacement or new installation of a furnace, air conditioner, heat pump, rooftop heating and cooling or comfort products to improve the air filtration for your home or business. About Lockport, IL - Happy to be your hometown Heating & Air Conditioning Contractor! 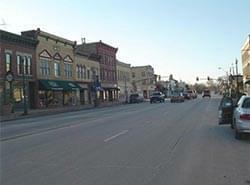 Lockport is an Illinois city located in Will County, and as of 2012 the population was just over 25,000. Forbes Magazine recently named Lockport one of the fastest growing suburbs in the U.S. in terms of population. This city is located along the now defunct Illinois and Michigan Canal, and it previously served as its headquarters. Lockport is found within a humid continental climate zone that experiences four seasons. Autumn and spring are mild, while summers are hot and humid. Winter months are typically snowy and feature cold temperatures. Visitors and residents alike can enjoy a variety of attractions and activities in Lockport. The Statesville Haunted Prison is a popular destination, and animal enthusiasts may enjoy spending the day at the Big Run Wolf Ranch. Golf lovers may enjoy playing a round at the Prairie Bluff Golf Course or Big Run Golf Club, and people that want to learn more about the history of the area may like to take a trip to the Illinois State Museum-Lockport Gallery.